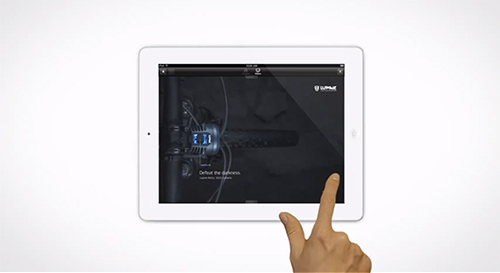 Publicis Germany to promote Lupine’s bike lighting system created a unique promotion with BIKE Online Magazine. Subscribers of BIKE could only read their magazine if they turned on the Lupine Bike Lamp. This tweak to the magazine gave 100% attention to Lupine. Readers who shared the idea in their social networks automatically distributed a link to a sneak preview of the magazine where the Lupine Lamp illuminated only a small part of the magazine. To read the whole magazine users were asked to order a trial subscription.